(Natural News) Health is defined by our daily activities and the food we eat. It’s a well-known fact that eating too much sugary foods and junk foods results in obesity, as well as chronic illnesses such as heart diseases, diabetes, and cancer. Now one man from Las Vegas managed to defeat a terminal disease, without the help of conventional medicine, by plainly going for a healthier diet. Rob Mooberry, a 43-year old father of twins has beaten stage 4 colorectal cancer by refraining from conventional cancer treatments and going vegan. He was hospitalized in July of 2012 with a perforated colon. Medical analysis showed that he had cancer that spread to his bowels, lymph nodes, and even the liver. It was surprising for Mooberry to be diagnosed with cancer, since he had no family history of it and was already living a healthy lifestyle of regular physical exercise and a lean protein diet. The symptoms he experienced, such as bloating and bloody stools, were ignored because he thought it was only an irritable bowel syndrome (IBS) or something he ate. Doctors recommended putting a colostomy bag after an ileostomy and chemotherapy sessions as well as radiation therapy. His doctors told him he only had an eight percent chance of living, and it was devastating for both him and his wife. According to Mooberry, he was generally healthy all the time, and it was such a sudden turn of events when he was diagnosed with the terminal disease. He kept in mind that with the treatments he was about to undergo, he needed to do much more for himself – and so he started on a healthier diet. 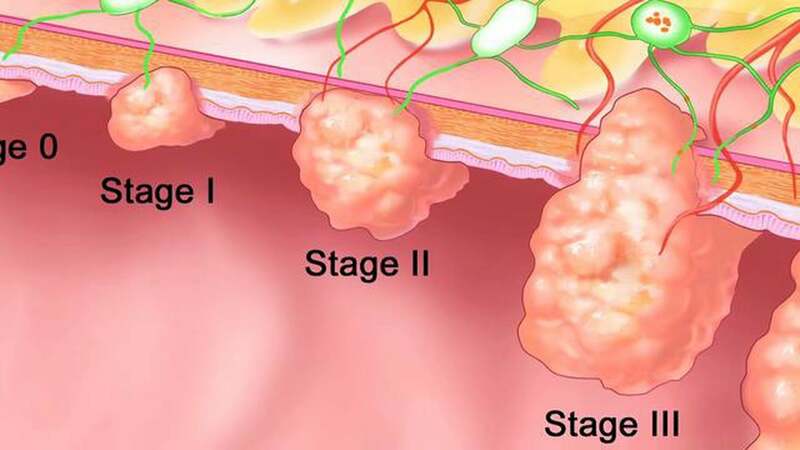 Colorectal cancer is a cancer that begins in the colon. It starts when the cells in the body go out of control – polyps, or abnormal tissue, grow on the inner lining of the colon. While not all polyps become cancerous, one of its types called the adenomatous polyp or adenomas, become cancer. Symptoms of colorectal cancer include a change in bowel habits, rectal bleeding, dark stools or blood in the stool, cramping or abdominal pain, weakness and fatigue, and unintended weight loss. The risk of getting this type of cancer increases with age, and more often occurs in men than in women. Rarely, it can also be inherited. Colorectal cancer is the second leading cause of cancer death in the U.S. It is the third most commonly diagnosed cancer in both men and women, affecting more than 135,000 people in 2017. Currently, there are more than one million colorectal cancer survivors in the country. While there are conventional medical treatments for colorectal cancer, there are also natural ways to prevent its spread and possibly reverse it. Avoiding health risks such as smoking and excessive alcohol consumption is first and foremost, and maintaining a healthy, balanced diet is essential. Regular exercise is also crucial in fighting any type of disease including cancer. Foods that help with cancer prevention, recovery, and reversal include: broccoli, berries, tomatoes, walnuts, garlic, and beans. Learn about other cancer-fighting foods by visiting Superfoods.news.